I warned you in my previous post, but this week has been all about updating our Longines section. There have been only a few others here and there – and I’m far from finished… For this list I’ll pick out a few cool ones though, I promise. 44mm might be a bit much, but just look at that case back! This limited edition of 100 pieces was created in 2010 in celebration of the 100th anniversary of the Republic of Portugal. LINK! Sadly I must admit I don’t have many details on this obscure version of Longines’ popular Hydroconquest dive watch. It looks stellar though! Get in touch if you have more info on this. LINK! How is that the Japanese often get the best limited editions? They always seem so tasteful and well-informed. This 500-piece limited edition of the HydroConquest has a PVD-coated case and red accents on the insert. LINK! Grey everything! This USA-exclusive edition of the HydroConquest has a stainless steel case with grey PVD-coating, a grey dial, and a grey ceramic bezel insert. LINK! With the help of Cuervo y Sobrinos themselves I also begun working on adding their watches to our database. First up? This Cuervo y Sobrinos Historiador Flameante. LINK! Amsterdam, March 1st 2018 – WatchBase is an online database that offers detailed information on over 20.000+ unique high-end watches and 2.000+ movements, which is available to collectors, journalists and trade professionals on a clear and easy to navigate website. WatchBase was founded in 2015 by Alwin Hoogerdijk and Alon Ben Joseph in Amsterdam, the Netherlands. Alwin has a background in database software, while Alon is a life-long professional in the jewelers trade. Between the two of them they noticed a lack of a proper database on their shared passion: high-end wristwatches. “Since I started working in eCommerce in 2007, I have been dreaming of building THE ultimate database for watches. After meeting Alwin, all the pieces fell into place. I got to work with a friend & fellow watch geek – one that is specialized in database software nonetheless” says Alon Ben Joseph. “Being a watch collector of mainly Speedmaster and Panerai Ferrari, WatchBase is the perfect way to apply my experience in database software on my favorite subject matter” adds Alwin Hoogerdijk. While numerous efforts had been made before, none of them provided the user experience, quality of information, and quantity of watches that that they felt was needed. Existing databases with a larger number of watches often featured just the bare essentials, offering little more than what’s available on the manufacturer’s websites. On the other hand, collectors and scholars had created highly detailed pages, yet these focused on one specific brand, series or even model only – and often lacked a proper technological frame. The WatchBase team set out to unite the best of both worlds by offering in-depth data on a wide range of watches via a dedicated, made-to-measure database structure. WatchBase is open, easy to navigate, and well-informed. After three years of painstaking work and research, WatchBase now features over 20.000 unique watches and over 2.000 unique movements from both current as well as past collections. New watches are added on a daily basis and existing entries are updated where needed. A team of watch experts led by Dale Vito gathers information through all resources available and necessary, including manufacturers websites, catalogues, books and press releases. The collected data is edited to cut through the marketing speak, distilled to the essence, and enriched where needed. This information is then presented in a clear template that features as much detail as possible. So, ever wanted to know on which movement Breitling’s caliber B13 is based and which watches use this movement? What size strap fits a NOMOS Club 36? 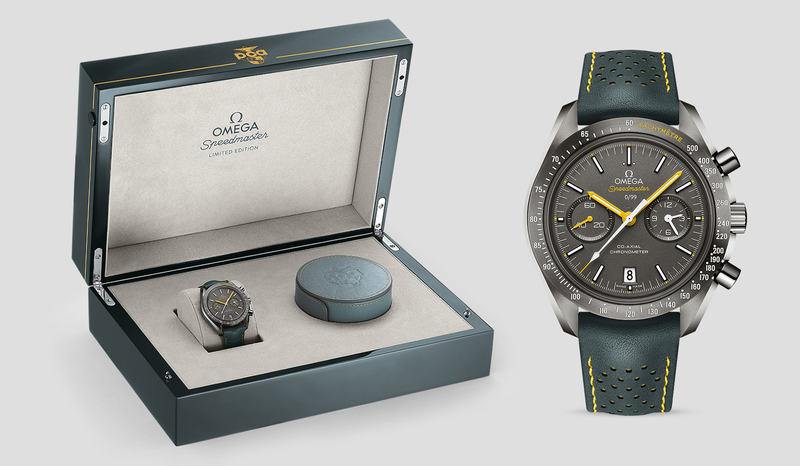 How many limited edition Speedmasters Omega has made? Which versions of the Lange 1 feature a blue dial? It’s all available on WatchBase. Data entry is a tedious and time-consuming job. With this in mind, WatchBase created the WatchBase Data Feed, which allows professionals like jewelers, appraisers, auctioneers and insurers to use the provided data for their own website, shop or app through an API feed. This drastically reduces the time and thus money spent on manually entering all details. More information is available on https://datafeed.watchbase.com/. Information and data supplied in press releases is often vague, incomplete, and filled with hyperboles. Using WatchBase journalists and bloggers can fact check their articles, see the larger picture, and put new releases in their historical context. The search function is especially useful: https://watchbase.com/search. In this digital age consumers are better informed than ever. WatchBase thus invites those brands brave enough to share their data, and break the culture of secrecy that frustrates the advancement of knowledge among collectors. Your brand on WatchBase? Don’t hesitate to contact us. WatchBase features a dedicated section for collectors called MyWatchBase. Here users can keep track of their collection, favorites and wish list. Custom fields allow them to include private details such as when a watch was bought, for which price, and what accessories came with it. A Report missing watch button is integrated in case a watch is not yet in the database. It is completely free of charge and available through http://app.watchbase.com/. 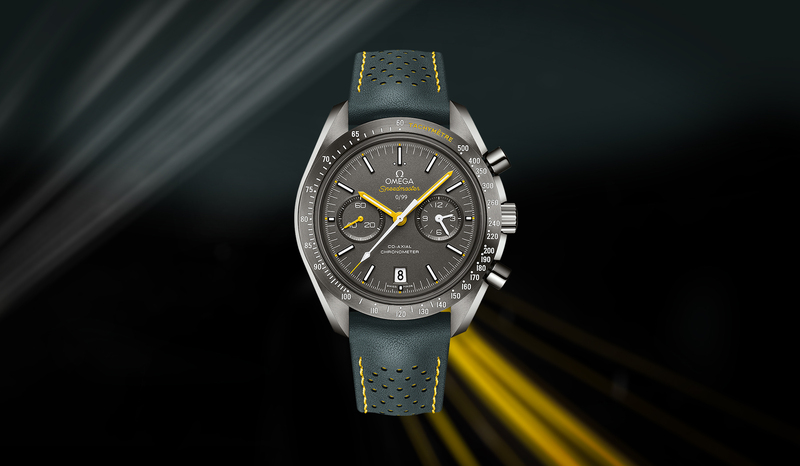 Introduced TODAY, the Omega Speedmaster Grey Side of the Moon ‘PCA’ is a limited edition of only 99 pieces created for members of the Porsche Club of America. Notwithstanding the small number of units produced, Omega went all-out for the Porsche Club of America and this limited edition. It’s based on the Grey Side of the Moon platform, but everything save for the mid-case seems to have been either altered or completely new. Taking cues from ceramic disc brakes and their yellow calipers found on high-performance Porsche cars, it’s all grey and yellow. The bezel features the word Tachymeter in yellow; the hour, minute and seconds hand as well as the tip of the seconds counter are yellow too. On the [titanium!] dial the Speedmaster signature and five minute markers are done in the same bright color. To finish off the look, the #SpeedyPCA is fitted with a driver style grey calfskin strap with yellow stitching and a yellow rubber backside. The Omega Speedmaster Grey Side of the Moon Porsche Club of America is only available through the PCATime shop. Find more details including price in our database. Currently, the WatchBase database spans some over 15.000 watches, 2120 movements, almost 150 brands, and a little over 550 families. New watches are uploaded on a daily basis, and existing entries are enriched and refined at an equal pace. NEW: as of today, you can try our Datafeed API free for 30 days, with $5 worth of data credits. Do you run a watch related site, shop or app and need detailed watch information? Then sign up for our free Datafeed trial here. 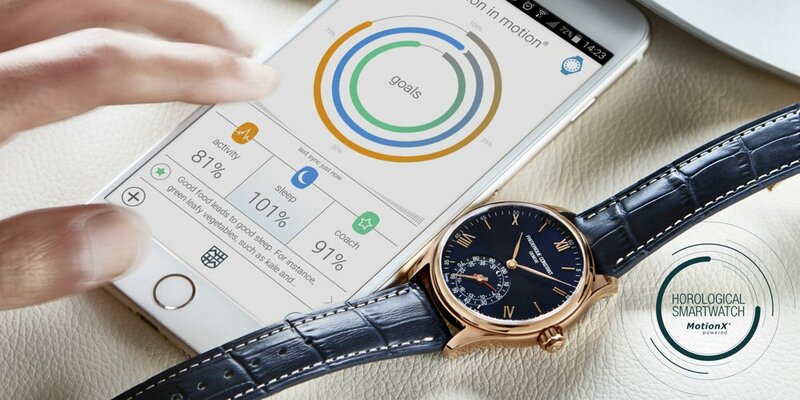 A huge surprise to many, today word got out that the Citizen Group acquired Frederique Constant, including its sister brands Alpina and Ateliers de Monaco. Frederique Constant was founded by the Dutch Aletta and Peter Stas in 1988. Launching its first collection in 1992, its main focus has always been classically styled luxury wristwatches at an accessible price. In 2004 the brand introduced its own in-house movement. Frederique Constant currently produces some 150.000 watches annually with a staff of 170 persons in six offices worldwide. It has approximately 3000 points of sale. Citizen on the other hand goes back to 1918, when its forerunner Shokosha Watch Research Institute was established. In 1924 it completed its first pocket watch, while in 1931 the first wristwatch was introduced. It employs approximately 19.000 people. I am not aware of the number of watches sold annually; in Japanese yen, it amounts to almost 180 billon (1.4 billion EUR). I’m looking forward to see what this move will bring. Of course, our Frederique Constant page is updated to reflect this new chapter in their short but interesting history. In a surprise move, Panerai just introduced a number of new and upgraded watches – including a completely new family (Luminor Due) and its second Carbotech watch. The new Luminor Due collection mixes signature Luminor elements with the sleeker looks of the Radiomir 1940 collection, resulting in a watch that is slimmer than most -if not all- other Panerai’s with the crown guard. For now, Luminor Due holds for watches: PAM 674, 675, 676 and 677 – just click the references for more information and prices. The latest Carbotech is the PAM 661. The 2015 version of Panerai’s Carbotech had the Luminor Submersible style case, which features an external rotating bezel. The new version has the classic Luminor 1950 case, yet it is still fitted with the Submersible style dial. Find out more details -including price- right here. Discontinued are the 499, 312 and 359 – they’re newer versions are the 1499, 1312 and 1359. The movement is updated from P.9000 to P.9010, the case is slimmer and the seconds hand is done in a vibrant blue. 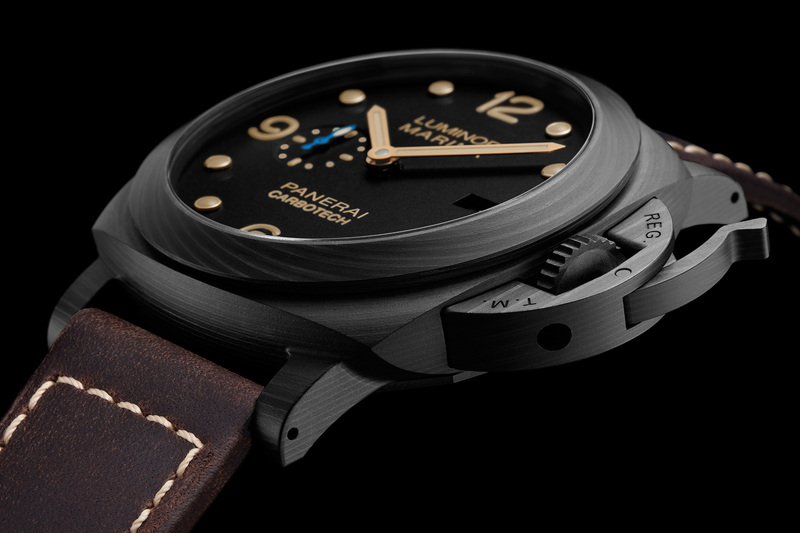 Last but not least, Panerai also introduces the PAM 672. Shamelessly similar to the earlier PAM 604, the watch now also features a (laser-) engraved movement. 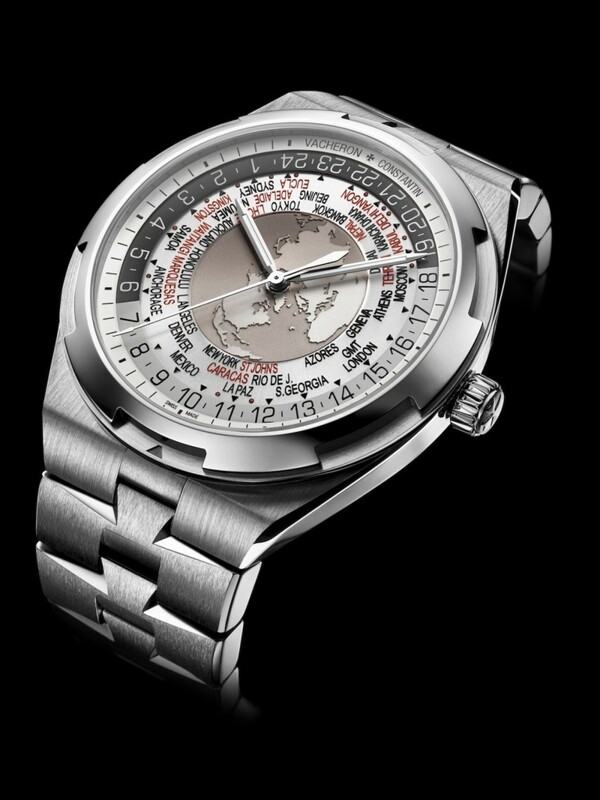 To the surprise of many, it turned out that the revamped Overseas collection that was introduced at SIHH 2016 was not yet fully complete: enter the Vacheron Constantin Overseas World Time! The Vacheron Constantin Overseas World Time adds another complication to the Overseas collection, courtesy of its caliber 2460 WT. It is available with either blue, silver or brown (predominantly) dial. The stainless steel case measures 43mm across and features a see-through case back. As indicated in my last post, I’ve recently begun adding Chopard to our watch database. And at the moment, we have 37 different Chopard movements and 128 watches live on our website; among them 49 from the ‘Classic Racing‘ collection, 78 ‘L.U.C.’, and a single, lonely ‘Imperiale‘. I’ll work on that ASAP – stay tuned for more! 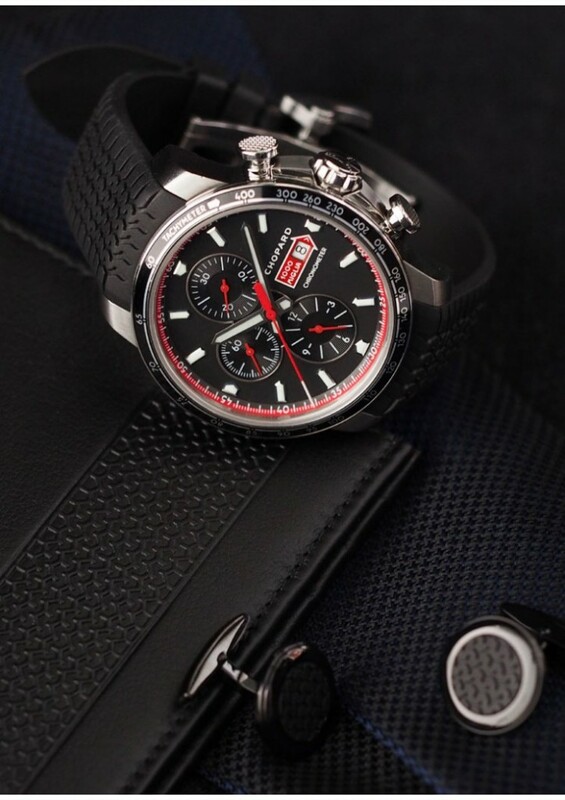 Chopard Classic Racing Imperiale L.U.C.